TPNS is a partner of Health Poverty Action with regard to their ground-breaking work on this issue and the challenge of integrating drugs reform policy into the development agenda. Health Poverty Action runs programmes in thirteen developing countries across Africa, Asia and Latin America, with an annual budget of £10 million, and 500 staff. HPA’s programmes are not simple service delivery, but rather work with both state and community authorities to strengthen capacity and improve policy and practice. Alongside these in-country programmes HPA’s Policy and Campaigns department engages in policy work and advocates for change at UK and international levels. Current drug policy is causing immense suffering in poor countries. It is denying poor and marginalised people their health rights, and severely undermining development, including the attainment of internationally agreed goals such as the Millennium Development Goals. The debate over international drugs policy has been polarised between two extremes – prohibition on the one hand, and free market legalisation on the other – and neither of these simplistic positions provide a viable solution to what is a complex public health problem. The truth, however, is that the choice is not limited to these two extremes. There is a third policy option, which is to use a combination of regulation and legal controls. Without supporting any particular policy, we are calling for exploration of this last option, which includes a vast array of potential tools and approaches. We call on governments, academics, civil society and all those with an interest in social justice, to support research into alternative approaches to the War on Drugs. We urgently need an evidence-based assessment of the alternatives, especially those that take a public health perspective. This must be set about innovatively and with a completely open mind, actively encouraging creativity and trialling new policy options. The Health Through Peace conference organised by Medact took place in London on Friday 13th and Saturday 14th November 2015. It brought together over 700 health professionals and health students to learn about and discuss issues related to war, conflict and militarisation. Health Through Peace is a growing community of health professionals working to revitalize the ‘health peace movement’ by campaigning around issues such as nuclear weapons, refugee solidarity and arms control. Tipping Point North South supports MEDACT’s lead on this, especially as it intersects with our Five Percent Campaign to cut global military spending as well as the campaign effort to address the appalling ‘War on Drugs’ impact on development and health. On April 19-21st the UN General Assembly will hold a Special Session on Drugs (UNGASS). The development sector drug policy forum, an informal coalition of UK based international NGOs working to address the impacts of drug policy and illicit drugs on development, has drafted a set of recommendations for UNGASS, calling for drug policy to align with the Sustainable Development Goals. Tipping Point North South is a signatory to this call and is a member of the development sector drug policy forum, initiated by Health Poverty Action and Christian Aid. 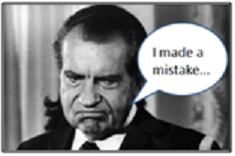 In 1971 US President Richard Nixon declared a War on Drugs, labelling illegal drugs “public enemy number one.” Since then the United States and other wealthy countries have concentrated on trying to eradicate drug production and consumption by making it illegal, investing billions at home and abroad in eradicating every stage of drug production, from destroying crops to building prisons. It hasn’t worked. The drugs market has not been eradicated, it has become the life blood of international crime syndicates, the power and influence of which are having devastating consequences in poor countries and preventing the achievement of human rights and sustainable development. Health Poverty Action’s purpose is to strengthen poor and marginalised people in their struggle for health. We are driven by our conviction that it is not acceptable for anyone to be denied their health rights. Evidence shows that current international drug policy has severe consequences for the health of poor and marginalised people. Undermines democratic governance. The power and influence of drug cartels severely weakens states. The culture of fear and corruption can make it almost impossible for citizens to exert democratic influence, access their rights, and hold their officials to account for the quality and reach of essential services such as health and education. Diverts attention and resources from essential services. Many governments in poor countries are engaged in constant civil war with the drug cartels. It is a war they are ill-equipped to win, with the cartels often having access to far greater financial resources. The costs of waging this war, both financial and in terms of dominating the political agenda, leave little for state services such as health care. Results in lost tax revenue (worldwide). Illegal drug markets are not taxed. If, for example, cannabis use was taxed in the way that alcohol and tobacco is, then large sums could be raised – including in developing countries, increasing sustainable tax income to finance health care and other vital public services. Criminalises farm workers and users. The potential consequences of being discovered to be breaking the law prevent both users and farm workers from accessing state services such as health care and police protection. It also makes harm reduction work much more difficult. Undermines sustainable agriculture and local food production. Drug production displaces farmers from more sustainable and developmentally valuable agriculture, in particular local food production. Increases local drug use and associated health problems. A cheap local supply in developing countries inevitably leads to high levels of local use. In many places farm workers are paid with drugs rather than money. Health Poverty Action has pioneered cross-border harm reduction work with drug users in China/Myanmar.